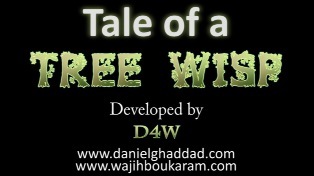 Tale of a Tree Wisp Needs You! A project that pretty much dominated my existence for nearly a year now is competing in the World Finals of the Microsoft Imagine Cup! After winning the local Microsoft Imagine Cup Wajih and I have been hard at work pushing this project even further. 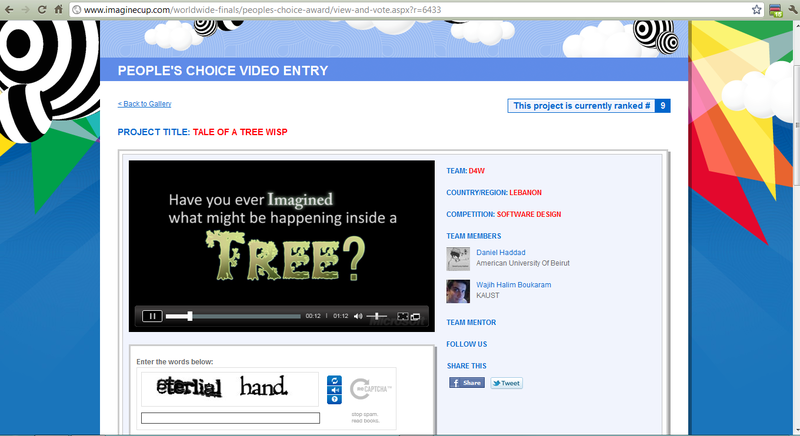 If you like our project and would like to support us please head to our People’s Choice Award page and vote vote vote! This game will be released to any and all platforms for absolutely nothing soon after the Imagine Cup world finals finish. Our goals are simple, spread the word about the importance of the environment by developing a unique and captivating experience for children to learn from and adults to enjoy. If you would like to learn more about the project please feel free to drop me an email. All the music and sound effects were developed by the wonderfully talented Michael Taylor!